Hi there! I'm a USA Today bestselling author of fantasy and science fiction. I'd love to send you three of my books—my "series starters" library—for free. That's about 1,000 pages + many hours of entertainment. You just need to tell me where to send them. Enter your email address to get your free books delivered to your inbox. You'll also be added to the Dragons of Darkness, my readers' group, to receive future deals and news (you can unsubscribe at any time). 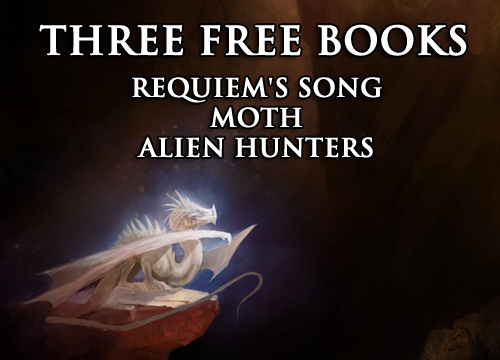 I'm the author of four fantasy and science fiction series: Requiem, Moth, Alien Hunters, and Kingdoms of Sand. Scroll down to learn more about these worlds. 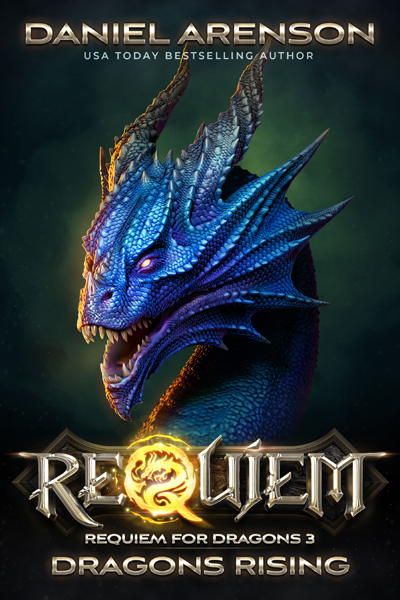 Requiem, a world where people can become dragons, is explored in five trilogies. For reading order, maps, and more, visit the Requiem page. Discover Moth, a world torn in two—its one half always in sunlight, the other always dark. For Moth novels, music, artwork, maps, and more, visit the Moth page. Got trouble with aliens? Call the Alien Hunters. 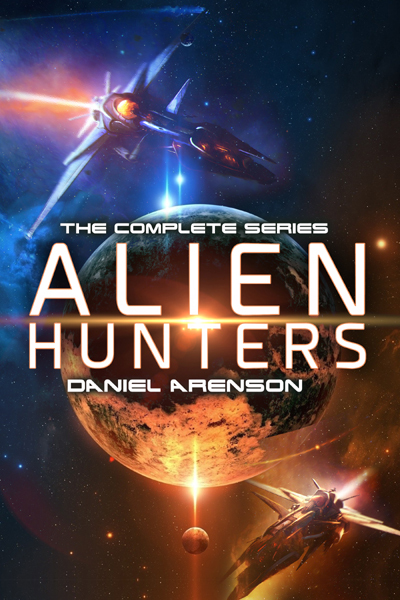 A new science fiction series for fans of Star Wars, Firefly, and Guardians of the Galaxy. Enter a world of sand and splendor, a world where gladiators battle in the arena, where legionaries and barbarians fight for glory, and where empires rise and fall. An upcoming epic fantasy. Details coming soon.